Big bundle with 25 feel good quotes. From motivational sayings to Halloween sayings, this bundle if full of fun quotes! – 25 DXF file – This format can be opened with the free software version of Silhouette Studio. 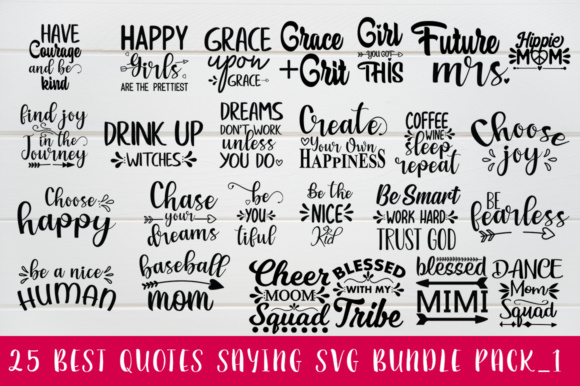 – 25 SVG file – This format is for Cricut Explore, Silhouette Designer Edition, Adobe Suite, Inkspace, Corel Draw and more. – 25 EPS file – This format is for Adobe Illustrator, Inkspace, Corel Draw and can also be imported to Adobe Photoshop.